Just over two years ago there was a final meeting on what is known today as the ‘Kigali Amendment.’ This amendment added to the existing Montreal Protocol. As you all know, the Montreal Protocol originated in the 1980’s and aimed at phasing down CFC and HCFC refrigerants. This phase out aimed at stopping any further damage to the Earth’s Ozone layer. While the treaty did what it set out to, it also directly led to the rise of HFC refrigerants such as R-410A, R-134a, and R-404A. Now, no matter where you go you’re going to find HFC refrigerants. The good news is that the Ozone damaging Chlorine refrigerants are a thing of the past. The bad news is that HFCs aren’t perfect though and now this latest amendment has HFCs in it’s cross hairs. It took seven years of meetings and careful planning but an agreement was made in October of 2016 in Kigali, Rwanda. The amendment aimed at reducing HFC emissions by over eighty percent over the next thirty years. While it was signed by over one-hundred and sixty-seven countries, in order for the treaty to come into effect it had to be ratified by twenty separate countries governments before January 1st, 2019. This number was easily met and as I write this article today there are sixty-five countries that have ratified the HFC reducing amendment. There are many more expected to ratify over the next coming weeks and months. That being said, there is some concern about this amendment. While sixty-five countries have ratified another one-hundred and thirty-two have not. Adding more worry about the amendment is that the United States and China fall into the listing of countries that have not ratified the amendment. I cannot imagine the overall effectiveness of a treaty like this if you do not have China and the US on your side. I do not know enough about the Chinese side of things, so in this article I’ll stick with the United States. Since Trump took office there has not been a clear message on what will be done with the Kigali Amendment. In order for it to be ratified in America it has to go through The Senate, but in order for it to get to The Senate President Trump, or The Executive Branch, has to provide the amendment to The Senate. So far, over the past two years the Trump Administration has sat on the amendment and done nothing with it. There were a few times where it looked like progress would be made. An employee of the Trump Administration would say something positive about Kigali but then a few weeks later they would backpedal and we would be back at square one. I had predicted that by 2019 hit we would see nothing different from them either. There isn’t a flat-out refusal. The amendment is just in purgatory here in America and I predict it will stay that way. If the pressure increases on the Trump Administration to adopt this amendment (Say if China ratifies the amendment before we do) then I can very well see Trump nixing the whole thing. That just seems to be his modus operandi. If you push too hard then he’ll go the other way. I think for now it is best for everyone to stay quiet and let the pressure build naturally. If there is too much pressure or if it seems genuine then we may get the exact opposite reaction that we are hoping for. I know it sounds a little far fetched but I believe that is how it is with this current administration. It’s not all bad news around here folks. 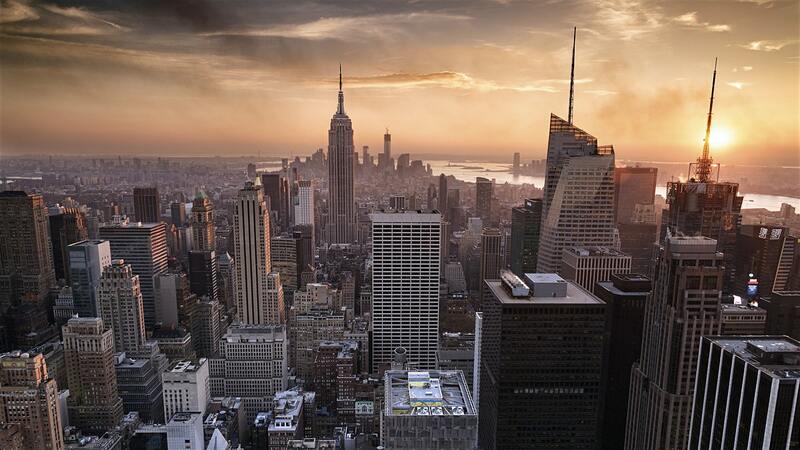 No, there is a shining light when it comes to phasing down HFC refrigerants across the United States. Around the same time that the Trump Administration announced that they were pulling out of the Paris Climate Accord a group of Governors from various states formed an alliance. This alliance, known as the Climate Alliance, aimed at upholding the goals laid out in the now defunct Paris Climate Accord. Along with these goals they have also targeted similar climate and environmental changes and regulations. Some of these specific targets have been HFC refrigerants. In fact, last year California passed a bill that closely imitated the Environmental Protection Agency’s SNAP Rule 20. This EPA rule was meant to be the first step in phasing down HFC refrigerants across the country. While the EPA’s rule was overturned by a Federal Court it is still being used as a template for various states such as California, New York, Connecticut, Maryland, and Washington State. In fact the first part of California’s new law known as ‘The Cooling Act,’ went into effect January 1st, 2019. This first step is targeting supermarket systems, condensing units, and self-contained units. The rule states that R-404A, R-507A, and other high Global Warming Potential refrigerants would no longer be acceptable in new machines. Along with the stick there is also a carrot that gives incentives for those businesses that adopt lower GWP systems earlier then the required deadline. The Kigali Amendment may be seen as a disappointment for those of us in the United States but we have hope with the Climate Alliance. While only a few states have come out with a HFC phase down plan it is just a matter of time before more states come forward. In fact, the newly elected governors of Michigan and Wisconsin have already signaled that they would be joining the alliance. We may end up with a piecemeal of states that phase down HFCs but if enough states jump on board then manufacturers will be forced to use lower GWP alternative refrigerants. Just over two years ago was the 28th meeting of the Montreal Protocol. This event was held in Kigali, Rwanda and one of the highest priority topics was tackling the phase down of HFC refrigerants such as R-134a, R-404A, and R-410A. These HFC refrigerants have an extremely high Global Warming Potential that contribute greatly to Climate Change. The objective was to come up with a treaty that would accomplish similar goals that the Montreal Protocol did with CFC and HCFC refrigerants. At the end of this meeting there was an amendment to the Montreal Protocol introduced. This amendment was known as the Kigali Amendment. At the time the amendment was introduced all one-hundred and ninety-seven countries agreed to take steps to phase down HFC refrigerants. The first step in reducing HFCs was to be taken by the most developed countries like the United States and those within the European Union. This initial step is to take place starting January 1st, 2019. Yes, that’s right… just a little over a month away. In order for this first step to be taken a total of twenty, or more, countries had to ratify the Kigali Amendment. As I write this article today there are over fifty-three countries that have ratified. (Source from CoolingPost.com) Some of these countries include Germany, Mexico, United Kingdom, Canada, Australia, France, Ireland, the European Union, and many more. Notice someone missing from that list? Yes, that’s right. The United States has not ratified the Kigali Amendment. Over the past year or two there has been a back and forth with the Trump Administration. Some officials signaled that they were working towards ratifying in the Senate and others have stated that they would not be moving forward with the treaty. There has not been an official announcement from the Trump Administration on what will be done. This isn’t something that can be just pushed through the Senate either. From what I understand, the Executive branch has to approve this before the Senate can began ratification. Everyone is waiting on Trump to see what the future of Kigali holds for the United States. I had suspected that Trump’s strategy on this was to just run the clock down and it appears that is what has happened. I mentioned earlier that this amendment goes into effect on January 1st, 2019. At this point I do not see it happening or that it is even on the agenda. There is a lameduck Congress now and I would imagine that they are trying to push through as much legislation as possible these next two months. Kigali is the furthest thing from politicians’ minds right now. For the United States, the Kigali Amendment has been forgotten. The only resort we have is to rely on the power of States’ Rights. Already we have multiple States moving forward with their own HFC phase down plans including California and New York. When the Kigali Amendment gets into full swing across the world we may see other States follow suit. Back in September of this year the Environmental Protection Agency announced that they would be removing their HFC rule that went in place back in September of 2016. This rule, which can be found by clicking here, applied Section 608 CFC/HCFC leak controls and regulations to appliances using HFC refrigerants that contained over fifty pounds of refrigerant. Basically, it passed on the same regulations that we had on CFC/HCFC refrigerants over to HFCs. With the introduction of this proposed rule there was also a forty-five day comment period for individuals, companies, and yes… States to comment on. The deadline for this comment period was yesterday, the 15th. Lo and behold, a nicely written ‘comment’ was sent to the EPA on the 15th. This comment, actually a letter, was created by what’s known as the United States Climate Alliance, or USCA. This alliance is a mixture of various States that came together when the Trump Administration announced that they were pulling out of the Paris Climate Accord. 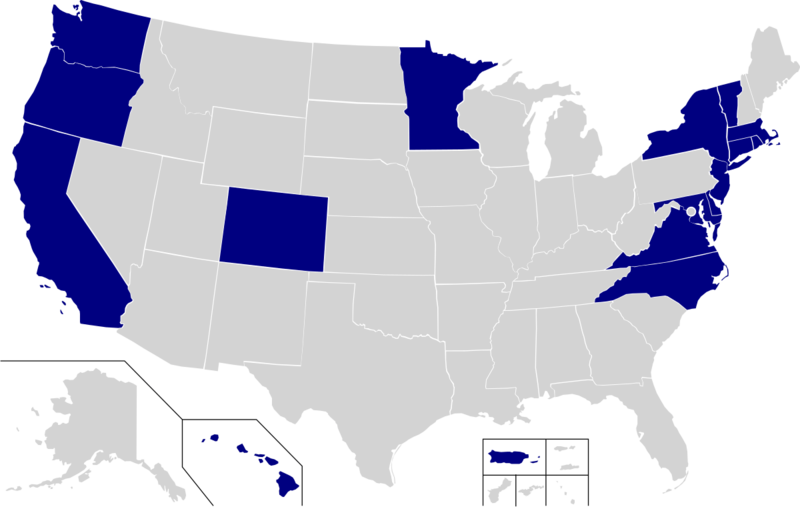 These sixteen States include New York, Washington, New Jersey, Oregon, and California. In fact, the letter was signed and sent by the Attorney General of California, Xavier Becerra. The letter, which can be found by clicking here, requests that the EPA withdraw it’s proposed rule changes and keep current regulations intact. The argument for this withdrawal is that the EPA has not provided sufficient evidence or legal reasoning for the reversal of their 2016 rule. I’ll tell you right now that I am trying to remain neutral here but the EPA has provided reasoning as to why they are rolling back these leak regulations. The reasoning is simple. The Clean Air Act and the Montreal Protocol were all designed to phase out Ozone depleting refrigerants. These are your CFCs and HCFCs such as R-12, R-22, and R-502. The Clean Air Act was not intended to phase down or regulate refrigerants that do not harm the Ozone layer. Yes, HFCs do contribute significantly to Global Warming due to their high Global Warming Potential but there is a distinction here between Global Warming and a damaged Ozone layer. This distinction is the reasoning that the EPA is using for their roll back. This reasoning though is not sufficient for the States in the Climate Alliance. Rather you like it or not, the truth is that the initial 2016 rule should not have been issued based off of the Clean Air Act. It was a stretch and everyone knew it. It was done because it was easy, but just like building a house: If you don’t have a good foundation then your house is going to crumble. The same thing has happened again and again on HFCs. We have had Federal Courts overturning EPA HFC regulations and now the Trump controlled EPA is looking at overturning HFC regulations based off of Ozone depleting laws. All this could have been preventable by going through Congress. Another point that I noticed while reading this letter from California is that there are many references and out right assumptions that the Ozone will be affected if these regulations are rolled back. That is simply not the case. It looks to me like they are trying to muddy the waters here so that when a laymen reads through this they end up believing that the Ozone is in danger yet again. Please do not take my criticism here as a favor for one side of the other, instead I am just bringing forward the facts from both sides. Now that the comment period is over I imagine that we will have to sit and be patient as the Environmental Protection Agency reviews any and all comments on their new rule… including this letter from the Climate Alliance. At this time what the EPA will decide is unknown, but if I was to put money on it then I would say that they are going to move forward with rescinding the leak regulations. You may not agree with it, but that is where the winds are blowing today. On top of that, I wouldn’t be surprised if we see the refrigerant purchase restrictions on HFCs be removed soon as well. Even though this purchase restriction has only been in effect since January of this year it was a holdover from the Obama EPA and may end up on the chopping block as well. If the EPA does decide to remove these regulations then the burden of regulation will fall to the States just like it has with the EPA’s SNAP Rule 20. There have already been a few States that have announced their own HFC phase down plans. Depending on what the EPA decides we may see many more join this Climate Alliance and work to phase down HFCs at the State level. 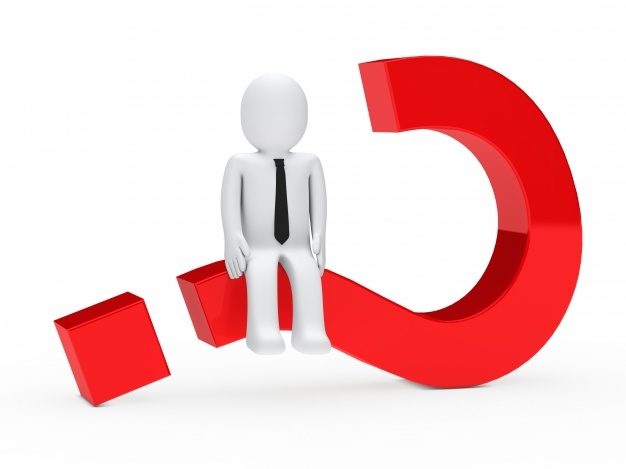 RefrigerantHQ.com – Refrigerant Sales Restriction Yes or No? Well ladies and gentlemen like dominoes in a line we now have a second state coming forward with their own HFC refrigerant phase down laws. At the end of last month we had California make their HFC phase down bill become official when their legislate voted in favor on August 30th. This new law known as the California Cooling Act (SB 1013) is aimed at reducing HFC usage across the state with a carrot and stick approach. The carrot is that the state will be offering incentives for low Global Warming Potential refrigeration systems. To start the main target of these incentives will be focused on supermarket and industrial refrigeration applications. The stick approach is preserving the now defunct Environmental Protection Agency’s SNAP Rule 20. As most of you know, the EPA’s SNAP Rule 20 was the announced planned phase down and eventual phase out of HFC refrigerants across the United States. This Rule 20 was announced back in the summer of 2015 and was to begin phasing down HFCs progressively year after year. The EPA created this regulation based off of their power found in the Clean Air Act and the Montreal Protocol. There was a problem in this logic though, the Montreal Protocol and the section of the Clean Air Act that was used strictly specified Ozone depleting chemicals such as CFCs and HCFCs. HFC refrigerants such as R-404A and R-134a do NOT contain Chlorine and therefore do not fall under the Clean Air Act/Montreal Protocol. A Federal Court ruled against the EPA’s Rule in August of 2017. The ruling came as a shock to those in the industry and there was an appeal filed only a few weeks later by Honeywell and Chemours. The appeal court ruling occurred early in 2018 and the court again ruled against the EPA and Honeywell/Chemours. The EPA had overstepped it’s bounds and could not phase down HFCs without proper legislation. With the current administration in power there was and is little hope of a comprehensive HFC refrigerant phase down bill from being passed. Another hope for climate advocates was the Kigali Amendment. 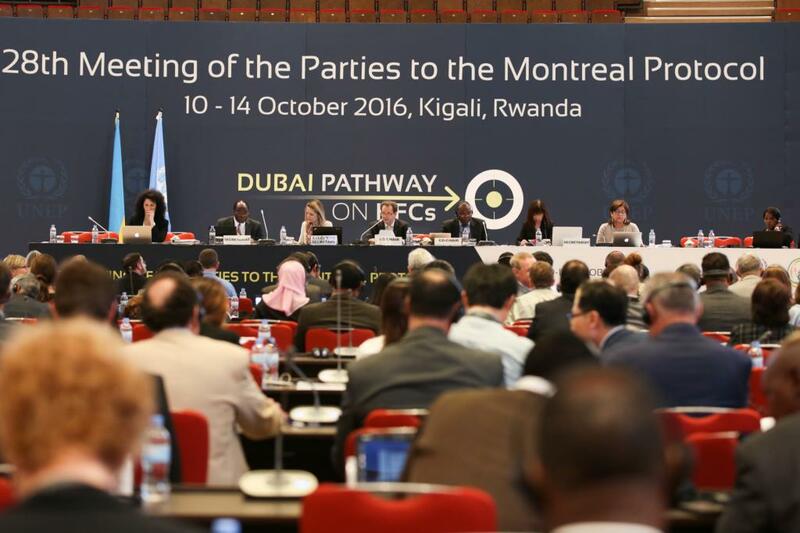 The Kigali Amendment was an addendum to the Montreal Protocol that was signed by various countries in 2016. This amendment again aimed at phasing down HFC refrigerants across the globe. Over the years many countries have ratified this amendment, however one of the remaining countries to do so is the United States. No one is for sure what the Trump Administration will do on this amendment. Will they push it to the Senate to ratify, will they kill it, or will they just sit on it and let it drift off into purgatory? This is where the States’ Rights have come into play. I’ve always been a big proponent of the States making their own decisions and this is no different. California signed their bill late last month and just today we have an announcement from Andrew Cuomo, the Governor of New York, that New York will be adopting the EPA’s SNAP Rule 20 as law in New York. This is now the second state to create their own EPA type regulation in order to combat the impact of Greenhouse Gases like HFC refrigerants. Like the California law the New York regulation is very similar. The goal is to enact the proposed changes from the EPA’s original ruling. What that means is that we are going to see impact right away in a few sections of the industry. The biggest and most significant impact is automotive. In the original ruling the EPA stated that R-134a would no longer be accepted in new vehicles from model year 2021 and beyond. Now, a lot of car manufacturers have already begun switching over from 134a over to 1234yf, but not all of them have. This now gives car manufacturers only a few years to comply with this new law if they want to sell vehicles in California or New York. The hope with these regulations is to force the hand of manufacturers to only use GWP friendly refrigerants and if enough States sign on then this very well may happen. Another change will be the food refrigeration equipment found in supermarkets, vending machines, refrigerators, and freezers. With the first major change hitting in 2020 targeting supermarket systems and vending machines, the next change in 2021 targeting household refrigerators and freezers. And in 2023 targeting industrial cold storage warehousing. The last major change will be on stationary air conditioning equipment such as centrifugal chillers and positive displacement chillers. The target for these is January 1st, 2024. Are these two states the first of many? Will we begin to see the dominoes fall so to speak and see other states fall in line? If so, should we even bother with the Kigali Amendment or should we just let the States decide and move on from there? Time will tell, but if enough states get on board then companies will begin to feel the pressure and proactively transition away from HFCs and over to HFOs or Natural Refrigerants. Last month I wrote an article about a study that was done on the effects the Kigali Amendment would have within the United States. The study which was called the ‘Economic Impacts of US Ratification of the Kigali Amendment,’ was funded and sponsored by two groups: The Alliance for Responsible Atmospheric Policy and the Air-Conditioning, Heating, and Refrigeration Institute (AHRI). This report was another attempt to convince the Trump Administration to send the Kigali Amendment to the Senate so that it could be ratified and turned into law. What was unique about this report is that it specifically focused on the number of jobs and and ancillary jobs that would be created if the US adopted the amendment. This report was geared towards Trump’s jobs jobs jobs push that he has been doing since last year. 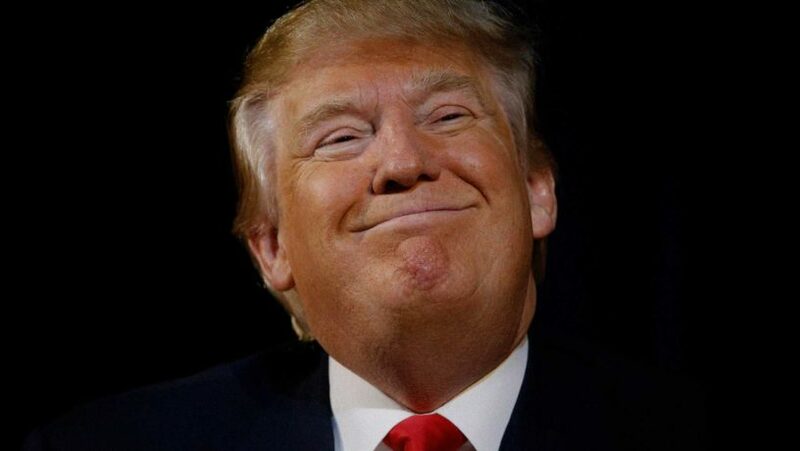 I am assuming that they figure by showing Trump that this treaty will actually increase jobs within the US that Trump would push it down to the Senate for ratification. Well, this report came out a little over thirty days ago and there has been no news. It’s been crickets from the Trump Administration. They either do not believe the study, have not had time to review, or they did not plan to move forward with Kigali in the first place. In a new development, last week a grouping of thirteen Senators sent a letter to Trump advocating for the passage of the amendment. What was unique about this letter is that it was thirteen Republican Senators that signed. This amendment has bi-partisan support within the Senate and will pass without a problem if it ever gets there. It’s funny almost. The letter, which can be found by clicking here, reads like a plug for all of Trump’s campaign promises. I’m not going to get to political here or get into politics in general but the letter is an obvious attempt at pandering. There are references to the Reagan Administration, hundreds of thousands of jobs created, billions in exports increased, balancing the trade deficit in the HVAC industry, and even the dumping of refrigerants from China. All of it reads like one of Trump’s campaign commercials. The question now though folks is will this letter work? Has the Trump Team even read through the initial report from last month? Did they have a plan to kill this amendment from day one? Or, are they just slow walking this to death without a real answer? At this point it is very difficult to tell what will happen next. It’s unpredictable. If you were to ask me for my opinion at this point in time I do not see Trump moving forward with this. To be honest, I don’t even think it is on his radar. That’s why there hasn’t even been a firm yes or no answer yet. I do however feel that if they keep pushing him on this that he will get frustrated and may just reject it outright without diving into the facts of the matter. The good news here though is that even if we do not pass the Kigali Amendment the Environmental Protection Agency is actively working on rewriting their HFC rules and future phase-downs. These re-writes will be in compliance with the Federal Court ruling and will still hopefully accomplish similar goals as to what their SNAP Rule 20 was aimed to do. There is not an exact timeline on when these rewrites will be done but I hope to see something relatively soon. While we wait for the EPA we also have another line of defense against HFCs: States’ Rights. California is a prime example as they have already enacted their own version of the EPA’s former SNAP Rule 20. While I am not aware of another state passing new regulations/laws I know that there are some looking at Californias’ changes as a template or baseline for their own. I’ve said it again, and I’ll say it now as well. Whatever happens over this year and next I can assure you all that HFCs are going away. It is just a matter of time and HOW they are phased down across the country. Well folks it’s been another few months into 2018 and there still has been no update or news on rather or not the United States will be adopting the Kigali Amendment. For those of you who don’t know, the Kigali Amendment was an addendum to the ever famous Montreal Protocol. While the Montreal Protocol focused on phasing out HCFCs and CFC refrigerants like R-12 and R-22 the Kigali Amendment has set it’s sights on the very popular HFC refrigerants such as R-410A, R-404A, R-125, R-134a, and many more. While the amendment was signed back in October of 2016 there are still some countries who have not ratified it yet, the United States being one of them. At the time of the signing there were over one-hundred countries present in Kigali, Rwanda. As I write this article today there have been thirty-one countries that have ratified the amendment and begun to move forward with the phase downs and phase outs of HFC refrigerants. The latest of these countries to ratify was France back in March of this year. Just before them we had Ireland and the Netherlands. The question now is will the United States move forward with this amendment? In order for this amendment to become law it has to be ratified by the United States’ Senate but before it can even get to the Senate the Trump Administration has to hand it off. At this time no action has been taken by the Trump Team. They are sitting on it for lack of a better term. Towards the end of 2017 an official stated that Trump was in support of Kigali but then a few months later into 2018 these remarks were walked back by another spokesperson. At this point no one knows for sure. There is uncertainty in the air though folks. In the summer of last year the Environmental Protection Agency’s own HFC regulations were overturned by a Federal Court. Just a few weeks back the EPA announced that they were withdrawing their SNAP Rule 20 regulations. (I wrote an article about this which can be found by clicking here.) On top of that the Trump Administration announced a withdrawal from the Paris Climate Agreement. The rumor around DC is that Trump will approve or deny something based on rather or not it will create jobs. The question is will the Kigali Amendment create jobs, or will it’s regulations hurt the industry? Just last week these two groups published a study titled, The ‘Economic Impacts of US Ratification of the Kigali Amendment.’ Now before I get into what this study said lets first understand why this article came about. Everyone knows that Trump is for jobs rather they be coal, oil, or whatever. If it creates jobs then he’s for it. That is what got him elected. So, the people behind this study took this mindset to heart and set forth with the report. The report states that the Kigali Amendment and all that comes with it will lead to job creation. It is said to strengthen our exports and weaken the imports. I take from this that they mean we will be importing less and less HFC refrigerants from countries like China and we will be exporting more and more refrigerant alternatives like the new HFO refrigerants from Chemours/Honeywell. The other pro-job argument here is that by mandating the phase down of HFCs companies and leaders will have to adapt and innovate to more climate friendly alternatives. This innovation and discovery period will cause job growth. 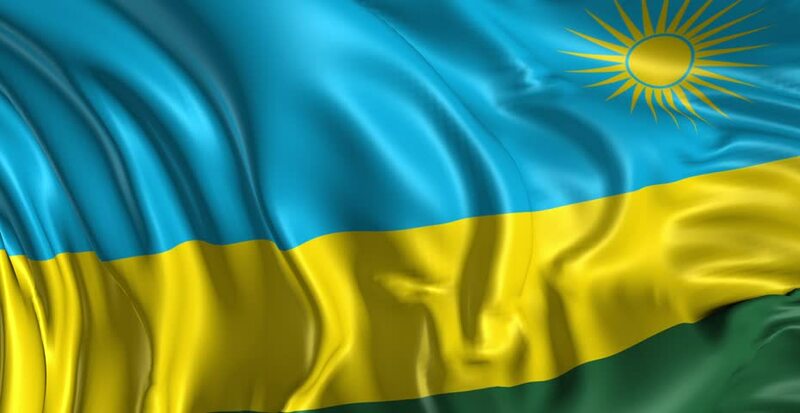 Within this report an estimated number of thirty-three thousand jobs are to be created by 2027 if the Kigali Amendment was adopted. If you count the indirect and ancillary effects of the amendment then the number of estimated jobs balloons up to one-hundred and fifty-thousand. On top of that there is an estimated twenty-billion increase in value added and over a ten billion increase in labor income. That’s a lot of numbers, but will they come to fruition? Now we all know why this report came out. It is another attempt to get the Trump Administration to ‘see the light.’ The question now though is will this latest tactic work, or will Trump see it as a ploy to get him to move the Kigali Amendment forward? The report is still fairly new as it only came out towards the end of April. At this point it’s too early to tell if it will have any affect on Trump’s opinion or not. If we do not end up ratifying the Kigali Amendment there are always alternatives out there. The EPA announced a bit ago that they were reforming their current HFC rules so that they would be in compliance with the court’s ruling. On top of that you have California, and soon other states, that have decided to move forward with their own HFC phase down plans. Regardless if we get the Kigali I can safely say that HFCs will be phase down soon either through a treaty, a law, a EPA regulation, or through States’ rights. Well folks the battle between Arkema/Mexichem and Chemours/Honeywell wages on! Everyone thought it was over towards the end of January when a US court rejected an appeal filed by Honeywell and Chemours. I won’t get into all of the history here as many of you are readers and already know what I’m talking about. The abridged version is that in 2015 the EPA issued a planned phase down of HFC refrigerants. Then, in August of 2017 a US Court ruled against the EPA stating they overstepped their bounds. A month later Honeywell and Chemours appealed stating that the EPA does have the right to phase down HFC refrigerants. The courts ruled against this appeal in January of 2018 and now here we are in February of 2018 with Honeywell announcing that they will be taking their case to the Supreme Court. Honeywell is turning to the Supreme Court as the lower court’s ruling is ‘unacceptable.’ Chemours has not yet published if they will be filing to the Supreme Court. But, if I was a betting man I would wager it’s only a matter of time before Chemours throws their hat in the ring as well. These two companies have been joined at the hip since all of this started. So Many Hats in the Ring, but Who Will Come Out on Top? So now we have four different avenues and venues all trying to phase down or phase out HFC refrigerants across the United States. I fear that all of these parties pushing for the same thing is going to muddy the waters and we’re going to be left with exactly where are today: With no planned phase down of HFC refrigerants. We discussed this above. Honeywell, and most likely Chemours, has announced that they will be filing an appeal on the HFC court ruling to the Supreme Court. 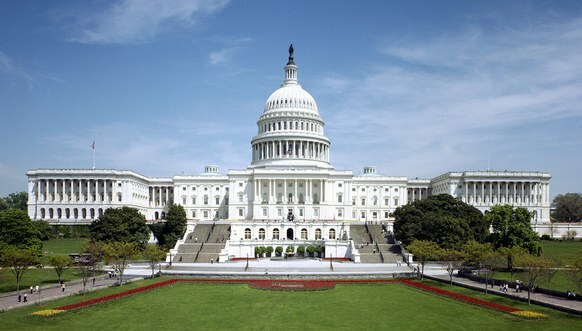 Last week a proposed bill was introduced in the United States Senate. If passed this bill would give the power back to the Environmental Protection Agency and allow them to phase down HFC refrigerants. In other words, it’s a reset button going back to before August 2017 and before the court’s ruling that overturned the EPA’s SNAP Rule 20. I wrote an article about this which can be found by clicking here. Another avenue is going through the Montreal Protocol’s recent Kigali Amendment. This amendment was agreed about a year and a half ago in Kigali, Rwanda. The goal of this amendment is just like the other steps: to phase down HFC refrigerants across the world. The benefit on this amendment is that it gives set goals and achievements for every country across the globe. So, instead of having a country by country guideline we would have a global. If this is adopted it is a great win for climate advocates. The Trump Administration has not clarified if they will be moving ratification to the Senate. Again, I wrote an article on this topic which can be found by clicking here. Remember now that all this boils down to money. At least, it does in my mind. We can all say it’s about Climate Change and kid ourselves but we all know the truth. Cash is king. 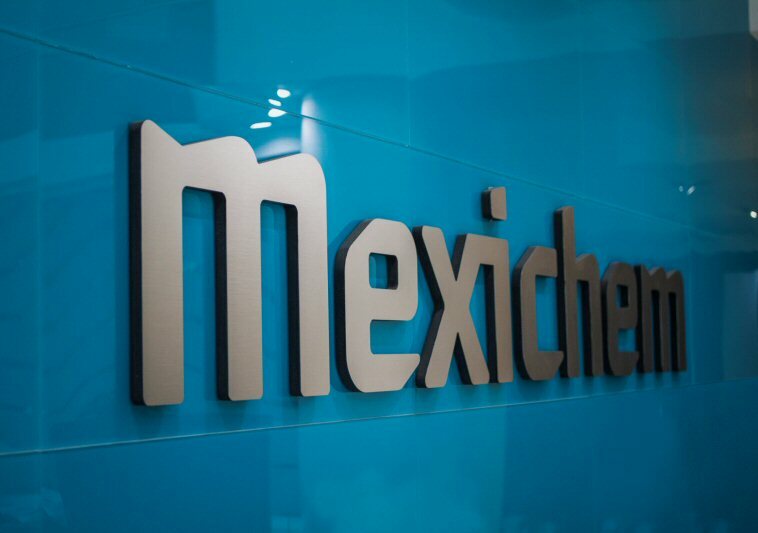 The two plaintiffs that started all of this and who are responsible for the August ruling, Arkema and Mexichem, do not have suitable alternatives to HFC refrigerants. As most of you know, Honeywell and Chemours are the pioneers of HFO refrigerants and hold most of the patents, technology, and manufacturing plants. 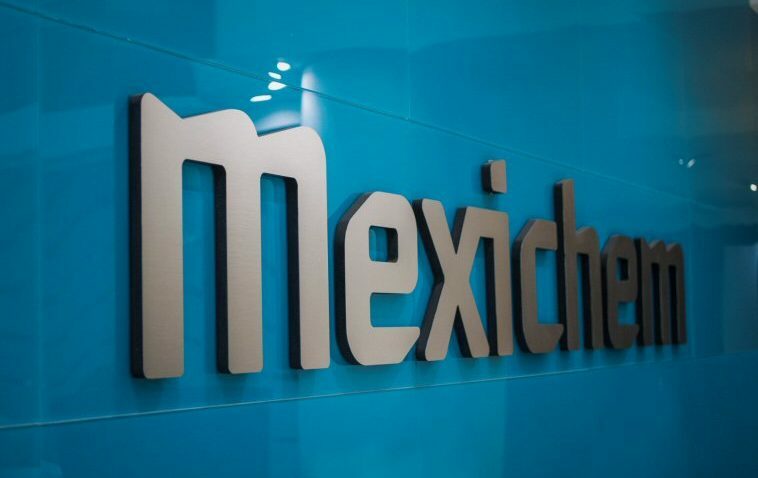 Mexichem and Arkema needed to stall and this ruling has done just that. They now have time to develop their own alternatives to HFCs and hopefully be able to compete with Honeywell and Chemours. HFOs refrigerants are still very new to the marketplace. In fact the only mainstream usage of HFOs at this time is through the automotive market. The first target was R-134a which has now been replaced in the European Union by the HFO 1234yf. While the phase in of 1234yf is slow it is coming to the United States as well in newer car models. There has been some slow transition on R-404A applications but there is not ‘one’ set HFO refrigerant for 404A yet. The question on everyone’s mind is will all of this back and forth in the courts give Arkema and Mexichem enough time to come up with their own alternatives? Or, will all of this be for not and Honeywell and Chemours will remain the dominant manufacturer? Last week a new bill was introduced into the Senate. This bill called ‘The American Innovation and Manufacturing Act,’ aims to give the power back to the Environmental Protection Agency. To understand this bill you have to know the history behind it and what has taken place over the past year. Towards the end of the summer of 2017 a Federal Court struck down the EPA’s proposed phase out of HFC refrigerants under their SNAP program. The court’s reasoning was that the EPA had overstepped it’s bounds by using the Clean Air Act as a vassal to phase out non-Ozone depleting HFC refrigerants. While the August ruling was fought and appealed by Honeywell and Chemours the court’s decision stayed. With the EPA no longer having the authority to unilaterally phase out HFC refrigerants such as R-410A, R-134a, and R-404A the United States is left with two options. The first is known as the Kigali Agreement. This agreement is actually an amendment made to the Montreal Protocol. While the amendment is nearly a few years old now we are still waiting on the United States’ Government to ratify it in the Senate. At this time there is some debate on rather or not the Trump Administration will move this amendment to the Senate or not. The other option, which I have spoken of in previous articles, is legislation. In my opinion this is the way it should have been done in the first place. I’m never comfortable with goverment agencies making massive changes to the marketplace on their own. Big changes and regulations like these should go through Congress and be debated back and forth and that, as of last week, is now where we are heading. The bill was introduced by two Senators: Republican Senator John Kennedy out of Louisiana and Democrat Senator Tom Carper out of Delaware. Now, it’s funny seeing what states these Senators represent. It’s very obvious why this bill was introduced. Delaware is home to DuPont and Chemours. Louisiana is home to one of Honeywell’s newest refrigerant manufacturing plants. This plant is designed for the new HFO refrigerants coming down the pike. So, we have two Senators from these states with a vested interested that these two companies succeed and bring jobs to their constituents. With HFC refrigerants on the way out that means that the demand for HFOs will only go up and up. This all comes down to money and jobs. Besides that the bill also allows the EPA to initiate a cap and allocation system similar to what we saw with R-22. Like with all phase outs this cap and allocation would be staggered so that each year the numbers would shrink and shrink until the targeted HFC is deemed obsolete. This is nothing different to those of you in the industry. The last thing that this bill mentions is that it gives the EPA the power of predictability. This goes hand in hand with the cap and allocation above. In order to successfully enact a cap and allocation program you have to have a baseline number and then a targeted number to shrink every year. We all know it’s a guessing game out there on how much refrigerant will be used each year. If this bill passes these yearly usage numbers and future predictions will be left in the hands of the Environmental Protection Agency. Even if this bill does get past the Senate and the House it still has to get through the Trump White House. The question on everybody’s mind is would Trump sign it? I said it up above but the passage of this bill and or the passage of the Kigali Amendment is all going to come down to rather it will provide more jobs or if it will take away jobs and money from the United States. The whole ‘America First’ mindset. I do not believe Climate Change will be a factor in the administration’s decision. At first glance yes, I can see the phase out of HFC refrigerants adding more jobs here in the United States. While there may be some shrinkage due to HFCs going away in the beginning I can definitely see the market growing as the HFO and Hydrocarbon refrigerants start to become the dominate refrigerant in the marketplace. After all, look at the new Honeywell plant in Louisiana and the new Chemours plant in Texas. Both of these plants are geared for producing HFO refrigerants. With HFCs out of the picture these plants can grow and grow all the while adding jobs. Perhaps Trump will see these new plants as a solid manufacturing add to the United States and push for phase out. At this point though all of this is guessing. This bill was just introduced to the Senate and nothing has been done with it; and for the Kigali Amendment we’re still awaiting word from the Trump Administration on rather or not they will pass. For now we are in this weird limbo when it comes to HFC refrigerants. No one really knows what will happen. Will we continue using these refrigerants ten years down the road and slow the growth of HFOs, or will the Trump Administration see the light and either sign this bill or move the Kigali Amendment forward into the Senate? Only time will tell. One thing is for certain the pricing on HFCs is definitely going to be interesting this summer with all of this uncertainty going around. Well folks I hate to say I told you so, but I will anyways. A lot of people have said that the court’s ruling a few weeks ago that overturned the EPA’s planned phase out of HFC refrigerants wasn’t a big deal. It wasn’t a big deal as we still had the Kigali Amendment on the table. In fact back in November of 2017 a Trump Administration employee, Judith Garber, stated that the administration was in favor of ratifying the amendment. But now, as expected, the tables have turned. In some statements made yesterday by Trump’s adviser for International Environmental Policy, George David Banks, the intention of the Trump Administration is now unclear. Mr. Banks stated that the Administration was still reviewing and analyzing all of the data and possible outcomes that would come into effect by ratifying the Kigali Amendment. What this means is that they are digging into all of the details and turning over all the rocks to find out exactly what this amendment will do and if it will help or hurt American jobs, how it will affect the trade deficit, and any other potential detrimental effects. If they find that this amendment is in fact a benefit to the American economy then I can see this amendment being sent to the Senate to be ratified. (A two-thirds vote would be required for the Senate to ratify.) However, if they find that this is going to hurt jobs and industry then I can see this amendment going the same way as the Paris Climate Deal. For those of you who don’t know Trump pulled out of the Paris Climate Deal in 2017 due to the economic impacts that it would have the United States. This administration is a wildcard, and in my opinion this is a good thing. There are so many companies and conglomerates lobbying for this HFC phase out. There are millions of dollars being spent to push through the end of HFC refrigerants. Like Trump or hate him he will come to his own decision without being influenced by the money. Unfortunately, while climate change is an issue I do not see it being a contributing factor to Trump’s decision. It’s all about money and jobs. If we do get the Kigali Amendment ratified by the Senate than the Environmental Protection Agency can begin to enact HFC phase outs across the country. There will not be a need for additional legislation. It will be like the court battle over SNAP Rule 20 hadn’t even happened. At this point in time folks I am leaning towards no. I do not believe Trump will push this amendment to the Senate. There are a couple of reasons for this. The first is that I could see Trump feeling like this new amendment could cause jobs and economic production. The second, and a bigger one in my opinion, is that part of the amendment requires richer countries such as the European Union and the United States to provide aid and support to poorer countries as they attempt to phase out HFC refrigerants in their countries. To me this is the killer. This is the main reason why Trump killed the Paris Climate Deal. He killed it due to all of the funding that the United States had to contribute. I have a feeling he is going to see this the same way. If he does decide not to ratify this amendment there is no telling what will happen with HFCs in the United States’ Marketplace. While some manufacturers have already begun switching to lower GWP alternatives such as Hydrocarbons and HFOs many others haven’t. These smaller to medium sized businesses have been putting it off. It’s a lot of extra cost to absorb and most owners won’t do it until they absolutely need to. That European Union problem is happening even when there were solid phase out dates. They knew when these dates were coming and are still having trouble. If we do not adopt the Kigali and with the court overturning the EPA’s SNAP 20 program there is no telling what will happen here. We could be using HFCs easily into 2030 or even past. Sure, they will eventually began to disspiate just through attrition but to some concerned people it won’t be happening fast enough. Will the US Ratify the Kigali Amendment in 2018? I’ve seen quite a bit of articles published on this topic over the past month or so. Some of them stated that the United States was already in the process of ratifying the Kigali Amendment and other articles stated that the US wasn’t even considering ratification. The only sources that I have seen are from lower ranking members of the State Department. And I hate to say it, but the current administration has had conflicting messages before from their departments and the Executive leadership. What is the Kigali Amendment? Why is it important that the US ratify? How will it affect the industry? Let’s find out! In a meeting in October of 2016 that took place in Kigali, Rwanda negotiators from more than one-hundred and seventy countries met together for many days and nights until they all finally came to an agreement on HFC refrigerants. The reason this is called an amendment and not a treaty is because this is an addendum to the famous Montreal Protocol from the 1980’s. While this Kigali Amendment does not have to do with Chlorine or the Ozone layer the governments tacked this on as well instead of making a new treaty. This amendment has been in the making for seven years and there have been numerous meetings over the years. The latest meeting that took place in Rwanda was where the agreement was finally agreed upon and signed. Since this was an amendment to the Montreal Protocol treaty there was no need for the United State’s Senate to review the documents. Instead, it was voted on by the numerous countries and passed without any involvement of the United State’s lawmakers. It didn’t mater that the last time this treaty was voted on was during the Reagan administration. They used the loophole and got around it. Under the signed agreement developed countries, including the United States, must reduce their use of HFC refrigerants by ten percent by 2019 from 2011-2013 levels, and then by eighty-five percent by 2036. Along with this developed countries will also have to comply with a freeze of HFC consumption levels in the year 2024. By the late 2040’s all developed countries are expected to consume no more than fifteen to twenty percent of their baselines. Another grouping of developing countries which include China and numerous African countries have committed to starting their transition in 2024. In these developing countries a reduction of ten percent should be achieved by 2029 and will be extended to eighty percent by 2045. A third grouping of countries which include India, Pakistan, and many Middle Eastern countries, must begin their process in the year 2028. Their target is to reduce their usage by ten percent by 2032 and then by eighty-five percent by 2047. To top it all off the richer countries, including the US, will be expected to help finance the transition on the poorer countries. The cost is expected to be in the billions and will consist of grants for research for affordability, more efficient technology, and the development of new alternative refrigerants. The exact dollar amount and what we will be spending it on has not yet been determined. There is another meeting scheduled for 2017 that will provide more details. “Judith Garber, the principal deputy assistant secretary, at the Bureau of Oceans and International Environmental and Scientific Affairs, confirmed that the US supported the Kigali Amendment and had started the procedures necessary to ratify.” – Source. She continued to say that there is not an established timeline on when the United States would adopt the amendment. As I stated before this is not a higher ranking Trump Administration personnel. I honestly don’t know if we can take her word for this or not. Nothing against here, I’m just pointing out that this kind of thing has happened before. I should mention that earlier this year the Trump Administration pulled out of the Paris Climate Accord. According to the administration this was due to the costly expenditures that the Paris Accord would instill on the United States. There is talk that we may have a repeat of this withdrawal on the Kigali Amendment. There is a key difference here though. With the Paris Accord there were many industries that were against it mainly due to the new taxes and regulations that would be forced upon them. With the Kigali Amendment all of the major players are in favor of it. This includes A-Gas Americas, Hudson Technologies, Honeywell, & Chemours. I’m sure there are others out there as well. It would seem that with all of these major companies backing the amendment that the Trump Administration would adopt it. The other side of the coin here is that the US, along with other wealthier countries, will have to pay billions of dollars to aid less fortunate countries to transition to achieve the Kigali agreement’s goals. To me this clause right here would be enough to kill it for Trump. He is not a fan of foreign aid. Will he or won’t he though? It’s a wildcard. The only thing I can use here as a type of barometer is the current court battle on the EPA’s 2015 SNAP Rule 20. In August of 2015 the EPA announced Rule 20 to SNAP. This rule announced and scheduled the phase outs of various HFC refrigerants including some of the most popular ones like R-134a and R-404A. Up until the summer of 2017 everyone took this new rule as the law of the land and were planning accordingly. Then, in August of 2017 a Federal Court ruled against the EPA’s new Rule 20. This ruling against caused the rule to be overturned instantaneously and caused havoc for a few weeks in the refrigerant industry. A few weeks later in September of 2017 an appeal was filed on this ruling by Honeywell and Chemours. Remember how I mentioned them earlier in favor of the Kigali Amendment? Well here they are again fighting for HFC’s to be pushed out. Now, I believe they have their own ulterior motives but I won’t get into that now. This appeal that they filed put a stay on the court’s ruling in August and basically put us back to where we were before August of 2017. So, the local HFC phase outs in the US are still on schedule. Everything is waiting on the next court ruling where a decision will be made on the appeal. Depending on what decision comes before the other will be a great indicator on what the other decision will be. Confused? So am I. Let me put it like this if the court rules in favor of the EPA, Honeywell, & Chemours and keeps the EPA’s phaseout of HFCs then the US will be ratifying the Kigali Amendment. However, if the court rules against the EPA and strikes down the HFC phase out then I could easily see the US backing out of the Kigali agreement. If we have a Kigali update before the SNAP Rule 20 update then I could see the same thing happening but in reverse. Regardless if the United States moves to adopt the Kigali Amendment in the near future or not we should all know that the days of HFC refrigerants are numbered and their time is coming up shortly. Depending on what refrigerant you work with you will be affected earlier then some of the other guys. If you are a 404A guy then chances are you’ve already started to see some of the changes either moving to Hydrocarbons or to new HFOs. R-134a is only a few years away here in the States and is already banned in the EU. While R-410A is still a ways away I wouldn’t get too comfortable. If I was to put a date on it I would say 2025 would be the start of a 410A phase out. The world is changing for refrigerant… again. Buckle up and get ready for the ride! Thanks for reading and if you haven’t checked it out yet check out our new community forums dedicated to anything refrigerant! Last week a Federal Court in Washington, D.C. ruled against the Environmental Protection Agency’s ruling of planned phase-out of HFC refrigerants. This phase-out was announced by the EPA in 2015 and it’s goal was to have most, if not all, HFC refrigerants completely phased out in the United States by 2030. They were going to start with R-404A in 2018-2019, move on to R-134a for 2020-2021, and then lastly take on the King that is R-410A. Depending on your views this was phase-out was a godsend or a pain in the rear. The EPA’s phaseout was thrown out by the court for one reason and one reason alone. The Obama administration put this HydroFluroCarbon refrigerant phase-out under the same umbrella that the CFCs and HCFCs were used to be phased out. They used Section 612 of the Clean Air Act. This section of the Clean Air Act strictly specifics on products that contain Chlorine or that cause damage to the Ozone layer. HFC refrigerants do not contain Chlorine nor do they cause ANY damaged to the Ozone. The courts looked at this and ruled in favor of the filing companies, Mexichem and Arkema. I wrote more in-depth on this ruling in a previous article that can be found by clicking here. The AHRI, or America’s Air Conditioning, Heating, and Refrigeration Institute, has said that one of these two major companies will very likely to file an appeal. These three organizations: AHRI, HoneyWell, and Chemours are pushing and lobbying as hard as they can to get these HFC phase-outs reinstated. But here’s the thing though, there has been no legislation drawn up to phase-out HFCs. No one is going through congress. Maybe it’s just me but if we are going to be affecting an entire industry across the country wouldn’t it make sense to have Congress write, debate, and vote on a law? Why are we giving the EPA all of this authority to dictate what refrigerants can and cannot be phased-out across the country? Not to mention that the EPA is overstepping it’s bounds, and they know it, by using Section 612 of the Clean Air Act. This is pure overreach and government laziness. On top of all of that this ruling calls into question the Kigali Amendment that was put in place across one-hundred and seventy countries. This amendment aimed at phasing out HFC’s across the world by the year 2100. It is called an amendment because, you guessed it, they added it to The Montreal Protocol. So, yet again, countries got around creating new legislation/treaties and instead amended a treaty from thirty years ago that has nothing to do with HFC refrigerants. Now this whole amendment is called into question in the United States based on this court ruling. Will the US back out of it like we did with the Climate Paris Accord? 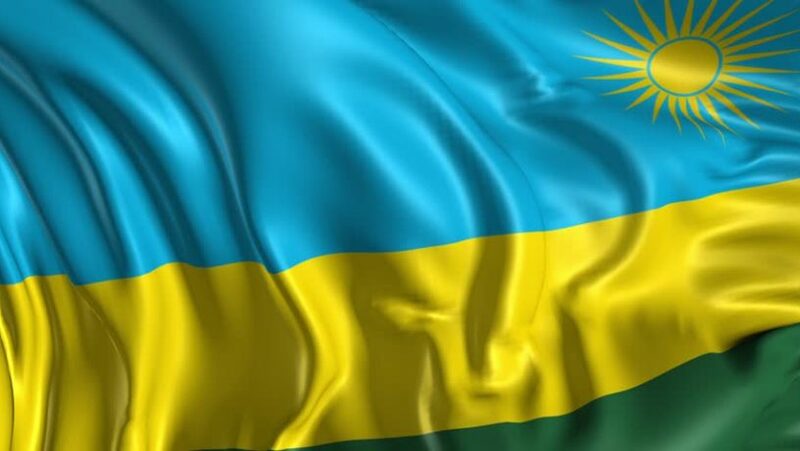 They also state that they still support Senate ratification of the Kigali Amendment and will continue to push for it, but they admit that it is now unclear whether ratification in the Senate alone would be enough or if additional legislation will be needed. It seems that the AHRI is on the side of the big business of HoneyWell and Chemours. Overall, I am happy about this ruling. To me it seems like we are doing just fine and that it will not be the end of the world if our HFC refrigerant friends stick around for a while longer. Maybe long enough for the Congress to actually make a law and phase these refrigerants out the right way but I doubt that will happen with the current political climate. We may be at an impasse for the next four to eight years where HFC’s will reign supreme. The intention of this protocol was to phase out all of the Ozone depleting substances across the world. These included the common CFC and HCFC refrigerants. (R-12, R-22, R-502, etc.) This treaty was used for the past twenty years phasing out all of these damaging refrigerants. In 2015 the Obama Administration’s EPA created a new regulation that would call for the phase-out of all HFC refrigerants. This included your ever popular R-134a, R-410A, and R-404A. The thing is though that HFC refrigerants do not contribute to Ozone deletion, what-so-ever. There is no Chlorine in these refrigerants. No Chlorine means no damage to the Ozone. I wrote an article about this way back in 2015 where I mentioned how underhanded it was. It was not the right way to do it. If HFC’s mattered this much why didn’t they go through congress and get a proper law created? Personally, I couldn’t be happier with this ruling mainly because the way the EPA went about this was all wrong. Mexi-Chem and Arkema couldn’t be happier either. The big losers here are the EPA obviously, but also Chemours, formerly DuPont, and Honeywell. Both DuPont and Honeywell invested billions into the new HFO refrigerants. They spent their billions on new plants and manufacturing centers across the world. They spent it on research. They spent in on alternatives such as 1234YF and R-452A. Now, here in America, the HFC refrigerants aren’t being phased out. That’s going to hurt. The court’s ruling struck down the executive order done by Barack Obama that was part of his climate action plan. So, while HFC refrigerants are not going to be forcefully phased-out in the next few years it doesn’t mean that they will be around forever. Part of Obama’s Climate Action Plan in 2013 was to get as many major companies on board with switching to lesser Global Warming Potential refrigerants such as Hydrocarbons or HFOs. Some of these companies were Coca-Cola, Carrier, Thermo-King, and many others. Even with this ruling a lot of companies have already stated that they will not be changing anything. It doesn’t make sense to reverse course now. What if another ruling happens next year and they have to redo everything they have been working towards? The safer investment is to stick with the new refrigerants. Businesses are always about the safer investment. Overall this ruling gave everyone more time. R-134a isn’t going to be phased out in 2021 as previously stated by the EPA. (Click here for my article on that.) Now there isn’t a set phase-out date so car manufacturers can still use R-134a on their newer models if they so wish but a lot of them have already begun switching to the new HFO-1234YF. It’s the same story with R-404A. A lot of major companies have already begun switching over to the new HFO R-452A. The big dog of refrigerant right now, R-410A, is the one that I believe will last for at least another decade, maybe two. 410A’s days were numbered due to the HFC phasedown but now with this ruling 410A is the last thing on everyone’s mind. Everyone is focused on replacing 134a and 404A to worry about 410A. The government tried using Chapter VI, 6, of the Clean Air Act to phase-out HFC refrigerants. The name of this chapter is called: “Stratospheric Ozone Protection” See a problem here? Well the courts did too! If we go inside this chapter of the Clean Air Act using the government’s official website we can see that all of the below substances were to be banned. There is no mention of HFC refrigerants anywhere. Funny, how they tried to just throw those in there. I’m not sure if this ruling is due to the now Republican controlled goverment or if it was just the courts doing their job. I won’t get into politics here but I have to say that the courts did the right thing here. As I said before if the EPA saw it as necessary to phase the HFC’s out then they should have gone through the proper channel and had a new law instated. They shouldn’t have tried to weasel in their own interpenetration of the Montreal Protocol which was clearly designed for Ozone depletion chemicals and not high GWP refrigerants. Rather you like it or not folks R-410A will be going away and it’s going to be happening a lot sooner than everyone thinks. In 2015 the Environmental Protection Agency announced that they will beginning the initial steps of phasing out R-404A in July of 2016, January 2017, and 2018. Along with that they also announced that the tried and tested R-134a will begin being phased out in the year 2020. (2021 model years.) HFCs are quickly coming to an end. On top of the EPA’s actions on phasing out HFC refrigerants there was an amendment added to the Montreal Protocol only a few months ago in November of 2016. More than one-hundred countries met in Kigali, Rwanda. The United States, the European Union, and many other countries have been working tirelessly on getting an HFC phase out amendment added to the Montreal Protocol for years. Well the last holds out finally gave in and everyone’s dreams finally came true in late 2016. The goal of the agreement was to ban all HFC refrigerants across the world by the year 2100. The United States along with all of the other countries happily signed the agreement. Under the signed amendment developed countries, including the United States, must reduce their use of HFC refrigerants by ten percent by 2019 from 2011-2013 levels, and then by eighty-five percent by 2036. Along with this developed countries will also have to comply with a freeze of HFC consumption levels in the year 2024. By the late 2040’s all developed countries are expected to consume no more than fifteen to twenty percent of their baselines. In order to meet these guidelines developed countries have already begun phasing out the other HFCs as we discussed above. 410A is not on the chopping block yet but it will be soon. Everything, and I mean everything, is pointing in the direction that 410A will be no more. The only thing that I could see stopping the phase out of 410A in the near future is the presidency of Donald Trump. Now, keep in mind that this is all speculation, but Trump has said before that he doesn’t believe in Climate Change. So, if you don’t believe in something than why would your country pledge and sign a treaty saying that you would phase something out because of Climate Change? It doesn’t make sense. No one knows what Trump will do though. He may leave things the way they are or he may go back and try to renege on the treaty. The race to find an alternative refrigerant for R-410A is on. After all, 410A has to be one of the greatest used, if not the greatest, refrigerant in the world. Everyone needs a cool house and most of the time they’re either using R-22 or R-410A. Finding an alternative has proven difficult though as there has been no perfect match so far. There are four considerations companies have to consider before they can sign off on a golden ticket replacement product. These four ‘rules’ or considerations are Environment, Energy Efficiency, Safety, and Economy. If we look at the first criteria of environment we have to consider two things. One being that the new product can’t contain Chlorine like the old CFCs and HCFCs of the past. We don’t want a repeat of the O-Zone damage that we went through the eighties and nineties. The second being that the replacement cannot have a large Global Warming Potential like the HFC refrigerants used today. The whole point is to have a refrigerant that does NOT damage the environment, or at least, does not damage the environment as much as the current HFCs do. Energy Efficiency pretty much explains itself. Obviously we do not want have a gas that would be used across the world that is terribly inefficient. What good would it do to if we’re just wasting energy and impacting the environment in another way? The whole robbing Peter to pay Paul mentality. It doesn’t make sense. Safety is another consideration that has to be factored in when finding the ‘perfect’ refrigerant. One of the major risks here is flammability. Each refrigerant has a flammability rating and some are much higher than others. If you have proper training on dealing with flammable refrigerants than there is nothing to worry about. The danger comes in if the R-410A replacement is highly flammable. Commercial units are usually left alone. Only professionals ever attempt to maintenance them. With a home unit you run the risk of having novices or ‘Bubbas,’ trying to maintenance or even install their own machine. Imagine the risk they could be taking if the refrigerant they were dealing with was extremely flammable? (Like R-290.) The other aspect of safety is the toxicity levels of the refrigerant. If you have a leak and it is in a confined area what effect will that have on the people in that area? Will there be permanent damage to them after breathing it, or even death? Economy is the last and final aspect when looking for an alternative. What good is an alternative if no one can afford it? If a ten pound cylinder is north of $1,000 how is anyone going to be able to afford it? Cost is a large factor when considering an alternative. Truth be told I believe we’re seeing the cost problem now with the 134a replacement. The HFO 1234YF is nearly $700 for a ten pound cylinder. Imagine the cost involved if you had to refill your car after a repair? It’s quite the difference between the $100 cost of a thirty pound cylinder of 134a. Ok, so with those four considerations in mind let’s review the possibilities of the future for replacing R-410A. Yes, yes I know. R-410A is an HFC so why would we replace it with another HFC? Well, there is a push to change from 410A over to R-32 refrigerant. The thinking is that this wouldn’t be a permanent solution but more of a temporary until something better comes along. R-410A’s Global Warming Potential (GWP) is 1,725 times that of Carbon Dioxide. This large number is why 410A is being pressured to be phased out. While R-32 is an HFC it’s GWP is only 675. That is about a sixty percent decrease. It’s not a perfect bullet but it would help with the battle against Global Warming. Ok, so we have see the pros of HFC-32 now let’s take a look at some of the downsides. R-410A is classified as ‘Non-Flammable,’ according to the Safety Data Sheets. The flammability rating on 410A is ruled as class 1. When looking at the same data for R-32 we find that it is ‘Extremely Flammable,’ and is classified under a level 4 for flammability. Both of these come from each products Safety Data Sheets which can be found by clicking here for R-410A and here for R-32. And to think people were freaking out about the flammability of 410A a few years ago! Another downside to R-32 that companies have complained about is the toxicity of breathing in the product. Proponents have rebutted saying that R-32 is no more toxic than any other refrigerant when breathed in. Which I believe is a perfectly valid point. The last downside and one that is extremely difficult to prove is that R-32 causes cancer. There has been no conclusive tests on this theory and so far it is speculation. The belief is that this rumor started in California due to their strict environmental laws. So, in review on R-32 we have a cheaper alternative refrigerant to R-410A and one that has nearly sixty percent reduction in Global Warming Potential. But, this replacement product is extremely flammable and may put people at risk. In my opinion I do not believe this refrigerant meets the four conditions to be accepted as an acceptable substitute. (Safety comes to mind.) If we do start using HFC -32 here in the United States than I could see it being only temporary until a better HFO refrigerant comes along. I wouldn’t put money on seeing this at your next service call. Hydrocarbons are a different story. They have been around a lot longer than the HFOs and even HFCs. Everyone is at least somewhat familiar with them and even a laymen has heard of most of them. (Propane, Isobutane, Carbon Dioxide.) Some of these refrigerants go all the way back to the nineteenth century if you can believe it. Before the rise of CFCs such as R-12 Hydrocarbons were widely used in various establishments. One of the first air conditioned movie theaters in the early twentieth century was cooled by Carbon Dioxide. Alright so let’s get the selling point of R-290 out of the way now. Propane has zero O-Zone depletion potential and only a GWP of only 3. Yes, that’s right. 3. Humongous difference when comparing to 410A’s GWP of 1,725. Right out of the gate R-290 meets the environmental criteria for an alternative. Overall it is rather energy efficient and the cost is relatively cheap coming in at right about the same cost as a thirty pound cylinder of R-410A. (A little over one hundred dollars a cylinder.) We’re three for four on propane passing the feasibility test. There is just that last one. That one that we overlooked, safety. The disadvantages are the flammability risk, safety standards/codes, and ensuring each technician is properly trained before handling. If propane is handled in the right way and by a properly trained technician than everything will be fine. However, if ‘Bubba,’ tries to install his own unit or retrofit his own machine with propane that is where things get dangerous. A common occurrence over the years since R-22 has grown more expensive is for companies to market their R-290 product as a drop in replacement for their R-22 units. This is a dangerous practice since the R-22 machines were not meant to use propane. The end result can result in injury or an explosion. R-290 is already seeing widespread use in India and China and now the middle eastern countries such as Saudi Arabia, Kuwait, and others are expressing interest for R-290 due to it’s better performance in higher ambient temperature environments. The Environmental Protection Agency has approved R-290 for use in stand alone small charge units including retail food refrigerators and freezers. All that being said though I do not foresee seeing R-290 being widely used as a replacement for R-410A. R-744 has no harmful environmental effects. I mean, there is nothing more natural than Carbon Dioxide. There is no O-Zone depletion potential and the Global Warming Potential is minimal. In fact as I mentioned earlier R-744 was one of the very first refrigerants used in the world only losing popularity once the easier to use R-12 was introduced. R-744 requires very low energy to run, is non-toxic, and non flammable. The problem that comes with R-744 is not the dangers of flammability like that of R-290 but instead with economy. R-744 runs at an extremely high pressure during operation. The pressure is so high that the efficiency of the compressor suffers greatly and the durability and thickness of the pipes needs to be increased to compensate. The thickened pipes and the custom high pressure equipment increases the overall cost of R-744 for most uses. Some could also make the argument that Carbon Dioxide refrigerant due to it’s increased pressure of 2,000 pounds per square inch also makes it dangerous to work on. That’s a tally of two out of four. While R-744 is seeing usage in other smaller applications like that of refrigerated cases I do not foresee it being used as an alternative to R-410A due to the additional cost of the higher pressure equipment and the potential safety risk of the high pressure. Ammonia or R-717 is often regarded as the most efficient refrigerant gas on the market today. Along with it’s energy efficiency aspect it also has no O-Zone depletion potential and has a Global Warming Potential of zero. The cost for R-717 is much lower than other HFC refrigerants on the market today creating a cost savings if someone was to switch over to R-717. If we refer to the four rules again that I stated above we are three for four so far. The fourth rule, and honestly one of the most important, is safety. R-717 is not the safest refrigerant… by any means and it is one of the reasons why it is not commonly used in today’s residential market. Like R-290 R-717 is highly flammable. Don’t let me say it though, let’s take a look at the exact wording on the safety data sheet on R-717: “Flammable. Toxic by inhalation. Causes burns. Risk of serious damage to eyes. Very toxic to aquatic organisms.” – Source. So we have a highly flammable product that has high toxicity and can cause damage to your skin and eyes. I can see why this hasn’t taken off. While R-717 does have the safety detriments it is still widely used today in many types of manufacturing plants such as dairies, ice cream plants, frozen food production, cold storage warehouses, and meat processing plants. I’ve said this before but I’ll say it again. This potentially hazardous material works because it is being used in a large commercial setting. The Jo Schmo do-it-yourselfer is never going to tamper or try to fix one of these commercial machines. If something goes wrong at one of these businesses they call in a professional. If R-717 becomes a mainstream refrigerant found in every home in the country than the risk of do-it-yourselfers accidentally burning themselves or worse causing an explosion goes up exponentially. For that reason alone I do not foresee R-717 being used as a suitable R-410A replacement. HFO’s are already seeing large usage in the European Union and now beginning in the United States. Most of the applications have been under the HFO 1234YF used in automobile applications. As of January 1st, 2017 cars can no longer be manufactured with R-134a systems in the EU. The United States isn’t too far off either with our final date being 2020. (2021 model year.) 1234YF is quickly replacing the R-134a market that we know today. To some it’s 1994 all over again where we phased out the R-12 in place of R-134a. The problem with HFOs is that they are all in developmental stage. The two conglomerate companies DuPont/Chemours and Honeywell have been putting endless hours and money into developing new HFO refrigerants that could take the place of the beloved R-410A. The other complication with HFO’s is that since they are being invented by only a few companies these same companies hold the patents on the new product. This creates an almost monopoly type setting where Honeywell and Chemours can set whatever price they want on their new Opteon and Solstice brands. Now, I’m not attacking these companies for having a high priced product. There is cost involved and I am sure it is quite high to create these new refrigerants. The reason I bring it up is for you the consumer or the business owner to realize just how expensive these refrigerants are. For example, a ten pound cylinder of the HFO 1234YF goes for about $700. For comparison a thirty pound cylinder of R-134a goes for about $120. Along with it being friendlier to the environment and safe to use R-452B matches the capacity of R-410A allowing it to be compatible with currently used R-410A equipment. This allows for a quick and easy change of refrigerants on existing 410A units in the field. While this refrigerant is still in the preliminary stages I could definitely see this becoming mainstream once it goes to market. It has right around the same GWP of R-32 but comes with a lower flammability rating. My only concern on this new refrigerant from Chemours is the cost. How much is this going to cost per cylinder when it rolls out this year or next? HFO’s are notoriously known for their high cost. Let’s hope that this new refrigerant doesn’t fall into that same category. R-454B is another new HFO refrigerant that was developed by the Chemour’s company. This refrigerant has the lowest GWP of all of the drop in R-410A replacements out there today. It comes in at a GWP of 466, that is seventy-eight percent lower than 410A. The formula on the refrigerant itself is a very close match to 410A and has been proved to be higher performing than 410A in some instances. The downside of this new refrigerant is it’s mildly flammable status. While flammable refrigerants are perfectly safe when used in the right hands they can be extremely dangerous in the hands of a novice. Even though this refrigerant is in fact the lowest GWP alternative out there today I do not foresee it becoming a mainstream alternative to 410A simply because of it’s flammability rating. The chances of a homeowner hurting themselves is just too great. I spent some time digging through Google and Honeywell’s website looking for mentions of a feasible R-410A alternative. The best that I found was a press release from 2013, four years ago, saying that they were working on a new 410A alternative. I haven’t been able to find much more news on these refrigerants. When I reviewed their website, which can be found by clicking here, I found four new Solstice HFO alternatives… but they were not for R-410A. Instead they were for R-134a, R-404A, and R-22. At this point it is hard to say but if I was to put my money down I would be betting on two refrigerants. Over the next few years we are either going to see a push for the Hydrocarbon R-32 or the new Opteon DR-55 (R-452B). As I said before I have a feeling that the cost of the new R-452B will be quite a bit higher than what we are used to today. The consideration that has to be made is the lower cost of R-32 when compared to R-452B worth the risk of extra flammability? Is it worth saving money but having that risk of flammability? Even though the R-32 and the R-452B refrigerants may be the new normal when it comes to home air-conditioning it is important to realize that they will not last. They are good viable alternatives to the R-410A used today but they are not perfect. They still have a somewhat higher Global Warming Potential. R-32 is too flammable for some people’s taste. R-452B will most likely be to expensive for others. Who knows what the next alternative will be? There’s no telling what the final answer will be at this point in time. The only certainty is that everything is fluid and the refrigerants that we are using today could change this year or next and that I’ll do my best to keep everyone informed! If you see anything that is incorrect or not factual please take the time to e-mail me by clicking here and I will correct as soon as I can. Thanks for reading and if you enjoyed the article please take the time to subscribe to our mailing list by navigating to the top right of the page and registering your e-mail. Thanks again! Well folks it’s official. Another phase out is among us. The world has come together to ban HFC refrigerants such as R-134a, R-404A, and R-410A across the world by the year 2100. Yes, that’s right 2100. While that may sound a ways away it is worth mentioning that the first official date of scheduled phase outs of HFCs begins in 2019, although some countries have already set earlier dates such as the United States on R-404A and R-134a. 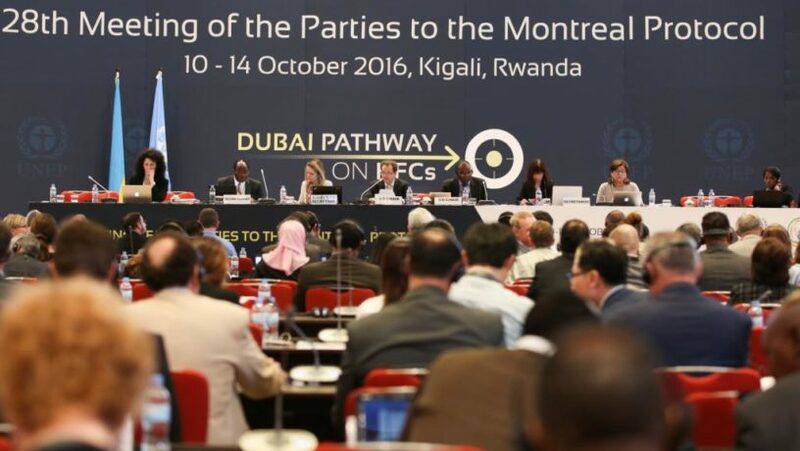 In a meeting in October of 2016 that took place in Kigali, Rwanda negotiators from more than one-hundred and seventy countries met together for many days and nights until they all finally came to an agreement on HFC refrigerants. The goal of this meeting in Rwanda was an amendment to the 1987 Montreal Protocol. The original Montreal Protocol was designed to phase out CFC and HCFC refrigerants such as R-12, R-502, and R-22. These refrigerants all contained Chlorine. After many decades of use it was found that when Chlorine was vented into the atmosphere it attacked, damaged, and eventually caused a hole in the O-Zone layer of the atmosphere. One of the leading contributors to forming the hole in the O-Zone layer were the commonly used CFCs and HCFC refrigerants. In order to solve the problem and to prevent any further damage numerous nations came together in Montreal and formed the Montreal Protocol. The protocol arranged the phasing out of all of the refrigerants that contained the O-Zone damaging Chlorine. The first refrigerant to go was R-12, then R-502, and then finally in 2010 R-22. (R-22’s final phase out date is in 2020.) It didn’t take long for scientists to notice positive improvements to the atmosphere and to the O-Zone itself. The Montreal Protocol was hailed as a great success story that was moved across over a hundred different countries and nations. To this day it is one of the most successful treaties. If you would like to read more about the Montreal Protocol click here. Here is where things get a little murky. As I discussed above the Montreal Protocol was designed, passed, and signed under the guise that it was going to protect the O-Zone layer and combat the Chlorine containing refrigerants. 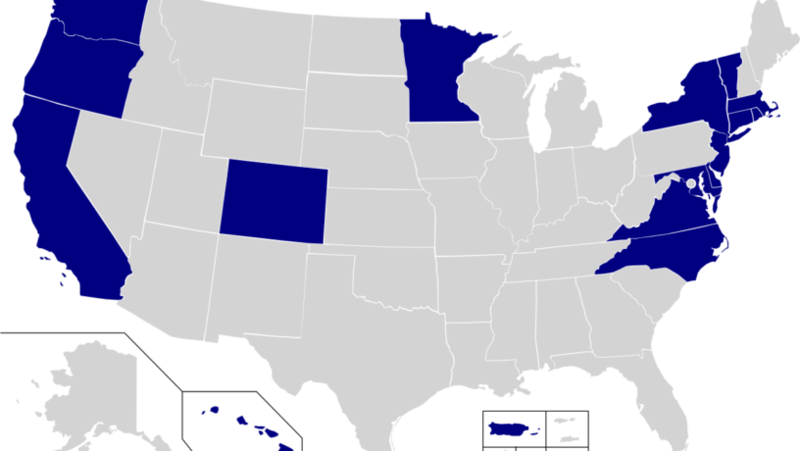 Now, in recent years there was a push by the many countries, including North America, to add an amendment to the treaty. This amendment would focus on HFC refrigerants such as the commonly used R-134a, R-410A, and R-404A. These refrigerants do not contain any Chlorine what so ever. That was the whole point. These refrigerants were the safer choice. These were the environmentally friendly choice. Well, think again. HFC refrigerants have an extremely high Global Warming Potential, or GWP. GWP is measured by comparing the chemical in question to that of Carbon Dioxide. The higher the GWP of a chemical or refrigerant the more greenhouse gases that it releases into the atmosphere. An example that I like to use is the R-134a refrigerant used in automotive applications. 134a has a GWP of nearly 1,400 compared to Carbon Dioxide’s GWP of 1. Obviously, there is a significant difference there. While the O-Zone is untouched when using HFCs Climate Change is not. The countless use of HFCs across the globe has caused these high GWP refrigerants to be released into the atmosphere. Upon being vented these high GWP refrigerants stick around in the atmosphere and become a large cause of Global Warming. To me, it looks like these countries, including Obama, took the easy way out. Instead of creating a new multi-nation treaty they instead opted for creating this amendment for HFCs and just latching it on the primary Montreal Protocol agreement. I wrote about this in another article last year that can be found by clicking here. I find it dirty and underhanded. They should have done a new treaty. This amendment has been in the making for seven years and there had been numerous meetings over the years. The latest meeting that took place in Rwanda was where the agreement was finally agreed upon and signed. Since this was an amendment to the Montreal Protocol treaty there was no need for the United State’s Senate to review the documents. Instead, it was voted on by the numerous countries and passed without any involvement of the United State’s lawmakers. It didn’t mater that the last time this treaty was voted on was during the Reagan administration. They used the loophole and got around it. In most of my articles I try not to be biased towards one side or the other. However, I feel that in this article that my bias showed through. All of the governments who signed this agreement all claim that by going forward with the phase out of HFC refrigerants that we will see a 0.5 degrees drop in temperature over the next century. They hail this as a huge win for the fight against Global Warming. I on the other hand can only see all of the cost and all of the headaches that this will cost not only cause in this country but across the world. The mere fact that we will be spending billions of dollars on this angers me. It’s not just about the money though. It is very frustrating to those that are in the industry. It seems like that every five to ten years there is another refrigerant phase out. It is honestly hard to keep up with them all and it never seems like these talking heads can get it right. There is always something wrong with the current refrigerant that we are using. I’ll bet any of you good money that in another ten or fifteen years there will be a push to phase out HFOs or Hydrocarbon refrigerants. Something will be found out about them and the whole world will go bonkers like they did for CFCs, HCFCS, and now HFCS. It’s an endless cycle that only seems to get more expensive. Regardless of how you feel I hope you enjoyed my quick summary of what happened this October and what can be expected in the future on HFC refrigerants.